Significant increases in supply across all sectors during a time of relatively weak demand and tight economic conditions are causing rents to correct from the unsustainable highs of the boom years, according to Abu Dhabi Real Estate Market Overview – Q2 2012 from Jones Lang LaSalle, a leading real estate investment and advisory firm. 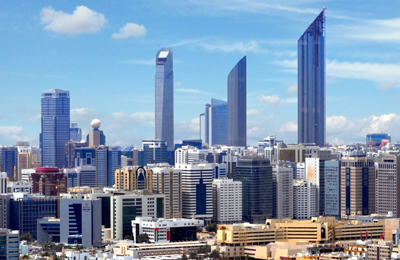 Rents are expected to decrease further in line with future additions to supply, said the report covering the Abu Dhabi office, residential, retail and hospitality market segments. Al Noor office tower at Al Muneera on Raha Beach entered the office market during Q2 2012 bringing the total office supply to approximately 2.72 million sq m. Office supply is scheduled to increase further during the second half of the year, the report noted. As the office sector is entering a period of oversupply, the vacancy rate has increased to approximately 32 per cent and is expected to increase further as more new supply comes on stream. According to the report, there have been few leasing deals during the second quarter, with most demand continuing to be from tenants looking to upgrade from their current space. Decreasing rents and the availability of better quality space will have a positive impact on future demand for office space. The residential stock increased by 2,900 units over the quarter. Additions to supply included Rihan Heights in the Grand Mosque District, two towers on Marina Square, Amaya Towers on Shams and new villas in Bloom Gardens. The rapid take up of units in the St Regis apartments on Saadiyat Island demonstrates that there is latent demand for high quality, well planned residential projects, the report said. The delivery of the retail podium at Etihad Towers increased the retail stock by around 7,500 sq m, but the retail market remained steady in terms of performance in the second quarter of 2012. An estimated 300,000 sq m of retail GLA could be delivered to the market by the end of 2012. Given the spending power of the population and additional growth from increasing tourism, there remains significant demand for retail in the Abu Dhabi market, most of which is currently serviced by Dubai. The delivery of upcoming projects will help address some of this unmet demand. Only one internationally branded hotel, Anantara Eastern Mangroves, opened in the second quarter of the year, adding 222 rooms to Abu Dhabi’s total hotel stock inventory. Despite record increases in visitor arrivals, the significant current and upcoming supply of hotel rooms continues to exert downward pressure on average daily rates (ADRs).